The customer provides disruptive smart city solutions for high-rise and large scale buildings. By applying new technologies and methods to long-established markets, the company not only enables property owners to meet new occupancy regulations but also provides ongoing support and expertise to ensure continued compliance. 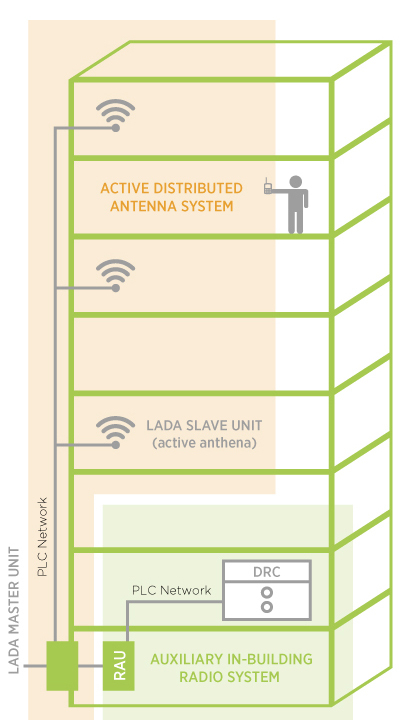 Create the design of Low Power Active Distributed Antenna Network. The system is a solution that is “Active-to-the-Antenna” enabling two-hour survivability, supervision, and ease of engineering and installation at a lower cost than other solutions. Additionally, it provides an IoT wireless network by LoRa to cover an entire building for consumer purposes. 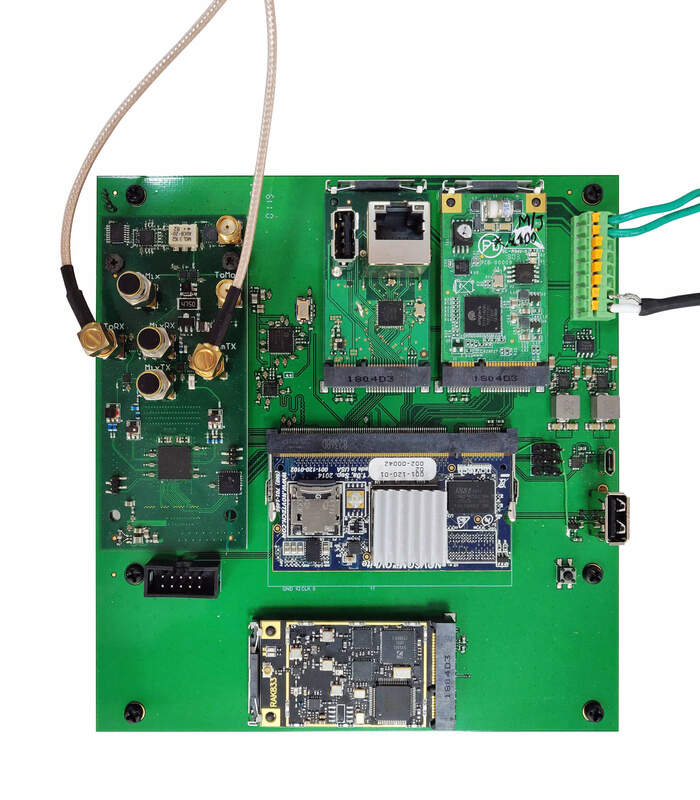 DSP algorithms written in Verilog/VHDL on FPGA Cyclon V-chip provides immediate voice transmission from node-to-node by RF without delays. The RF-module designed based on LMS6002 Software Defined Radio covers the 150-900 Mhz spectrum and is able to detect any antenna damage that, along with other required health information, is reported to the Master unit (see “AUXILIARY IN-BUILDING RADIO SYSTEM WITH DEDICATED RADIO CONSOLE”) and the AWS Cloud from which a supervisor can receive mail/SMS in order to quickly fix a breakdown. A network stack developed based on PLC technology allows for a two-hour rated, fire-proofed cable without any length restrictions, like a typical ethernet cable. 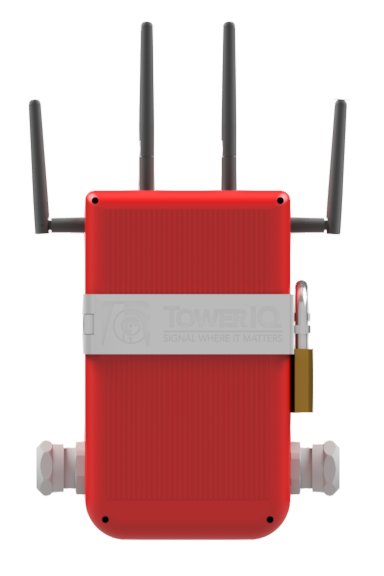 LORA is used for coverage, in order to provide a low-power consumption network throughout the building.